Callie Miller is a Montana native, second generation metalsmith, and owner of Q. Miller Handmade Jewelry in Bozeman, MT. 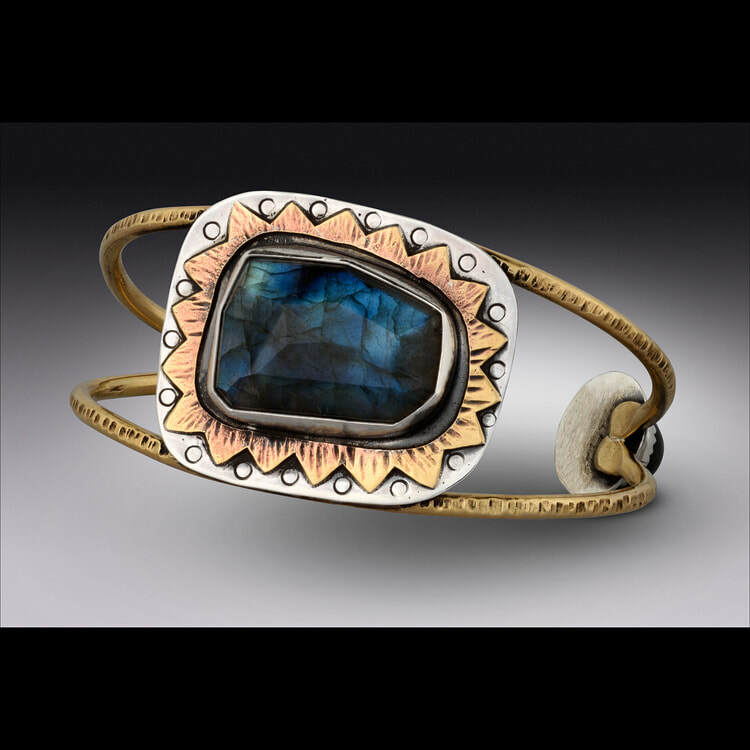 Callie began metalsmithing alongside her mother at the age of 11. 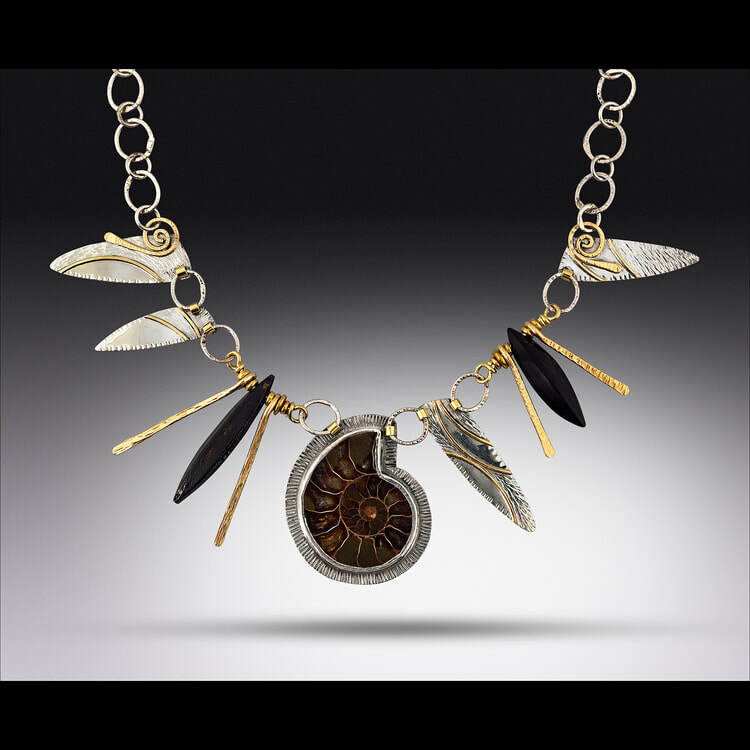 Over the past 25 years she has developed her own style and sense of design that draw inspiration from the natural world. Each piece of Q. Miller jewelry is hand fabricated in a unique 26 step process that was developed by Callie and her mother. 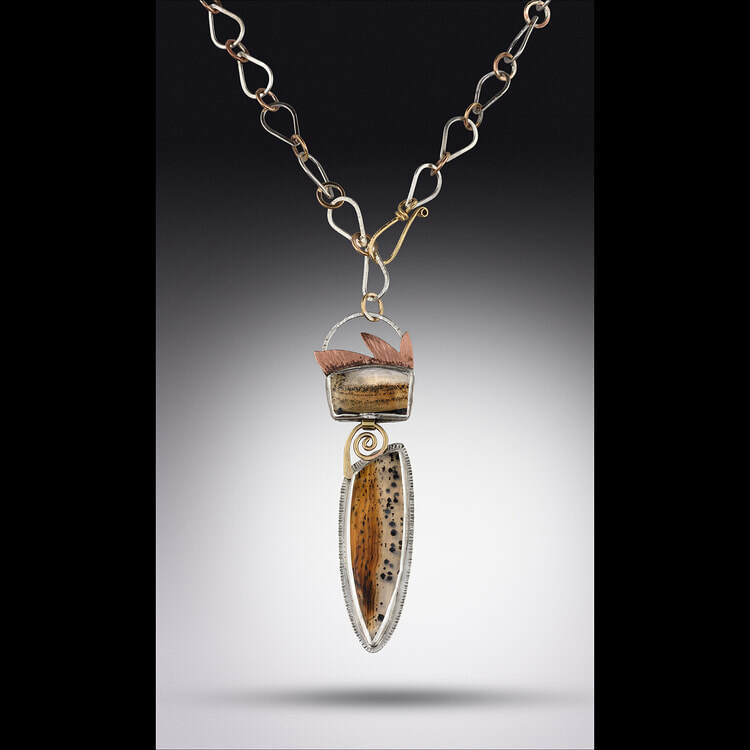 Materials include sterling silver, pewter, jeweler’s brass, copper, argentium silver, natural semi-precious stones, glass and metal beads, and unusual natural elements. Callie believes that art should evoke an emotional response from its viewer. She strives to pair wearable design with light-hearted titles that will inspire positivity in the wearer. The incorporation of colloquial language through the naming of each piece offers a level of engagement between the artist and consumer that goes beyond the visual experience. ​Q. 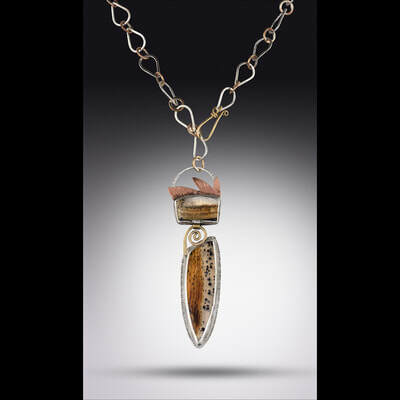 Miller jewelry can be found in contemporary art galleries, in the Q. Miller booth at juried art festivals, and online at www.qmillerjewelry.com.